This church is a five-star experience, not only for its wonderful setting high above the sweeping village green but for its breathtaking architecture. 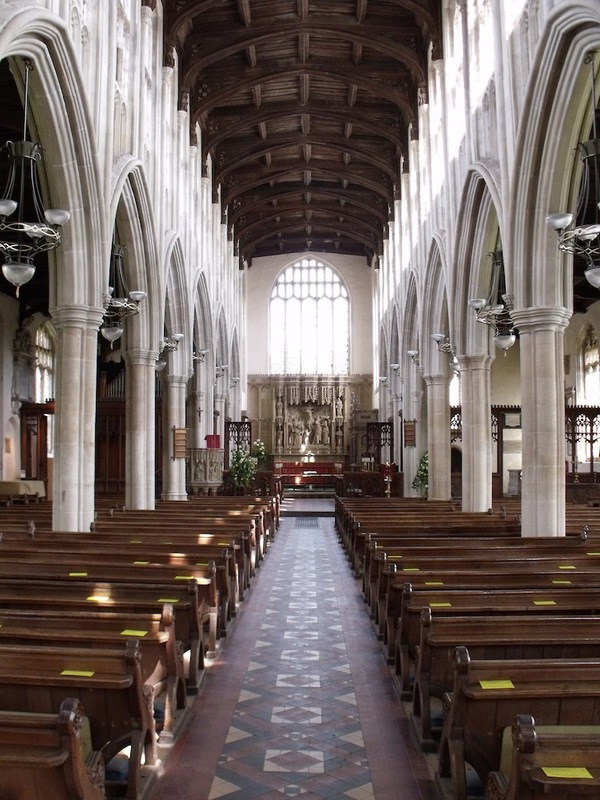 It is one of the finest churches in the country. Best to ask what’s not special as this glorious building is recognised as one of the country’s finest, and described by author Simon Jenkins as ‘a treasure house of English medieval art’. Before going inside, take time to wander down its vast length to the east end to admire the exquisite flint flushwork and take a photo that will make your friends envious of your visit to this truly remarkable building. Light pours into the lofty nave through over 70 vast windows of clear glass and on entering the church you will need to catch your breath at its awesome proportions. 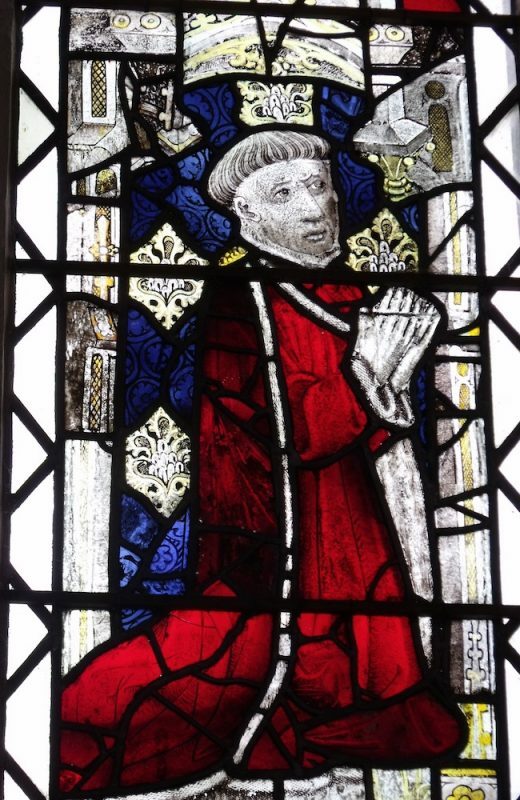 One of its greatest treasures is the rare collection of medieval glass in the north aisle. Another is a 14th century alabaster panel of the Adoration of the Magi thought to have been part of the altar before the Reformation. And there is more, much more. 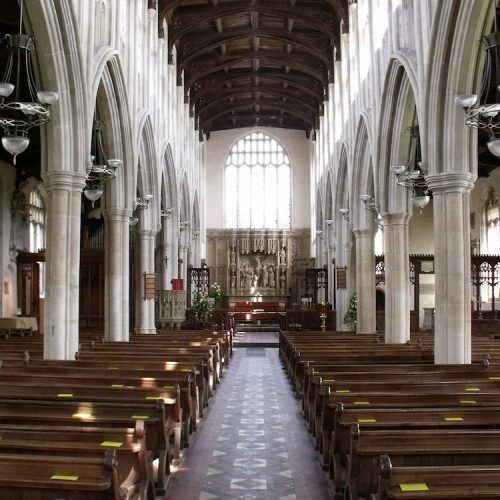 A church is said to have stood here in Anglo Saxon times but Holy Trinity is one of the great Suffolk wool churches, at 180 ft the longest in Suffolk. 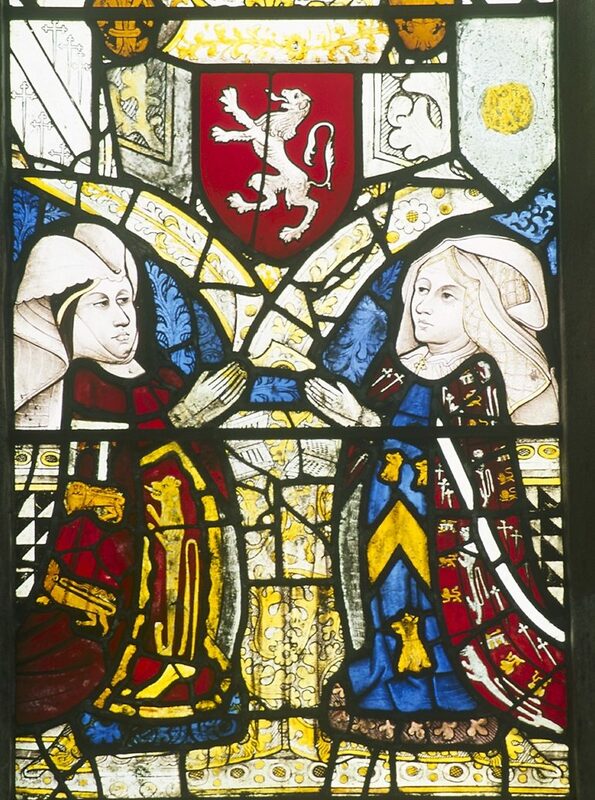 It was rebuilt from ground level to show off the incredible wealth of the local cloth merchants — specifically the Clopton family — in the late 15th century and completed in 1484. The only modern part is the tower, dating from 1903. The Cloptons certainly knew how to flaunt their wealth. See the inscriptions on the parapets. Even the butler (Boteier) is mentioned! 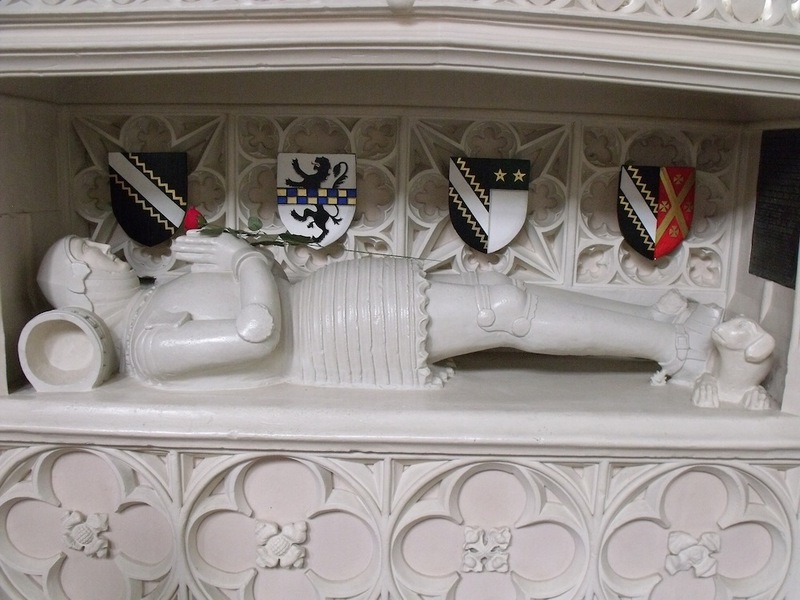 Then there is the Lady Chapel and Clopton Chantry Chapel added around 1496. 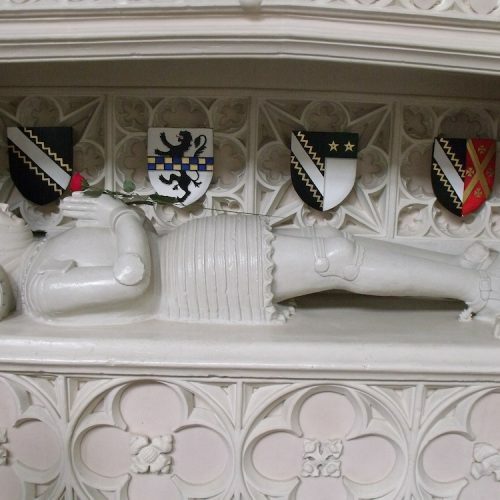 You can see the tomb of the chapel’s founder Sir William Clopton in the family chapel and find out why it is sometimes adorned with a red rose. 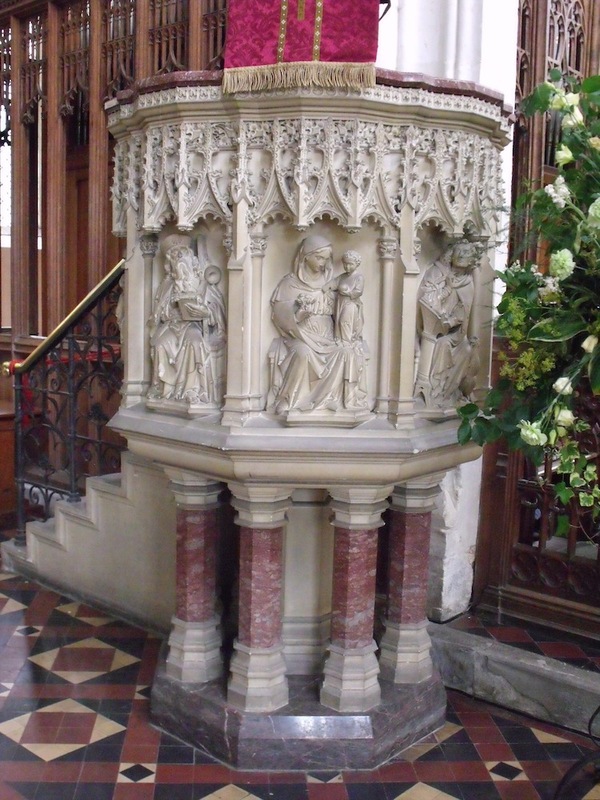 The church has some generous friends who help to raise funds for maintaining and beautifying the church. 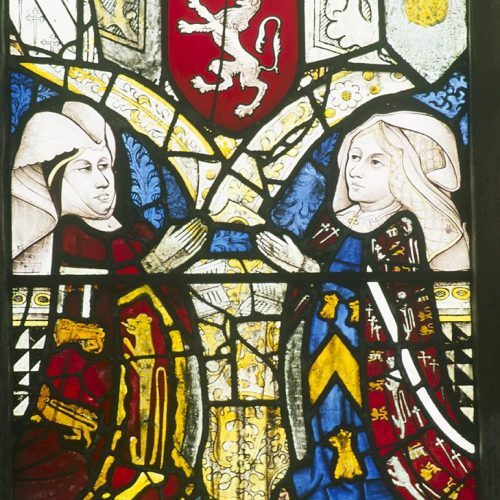 The medieval glass includes an image of Elizabeth de Mowbray, Duchess of Norfolk. You can see from the picture in our gallery above how she might have provided the inspiration forJohn Tenniel’s illustration of the Duchess in Lewis Carroll’s Alice’s Adventures in Wonderland. Mostly the panels depict the Cloptons though. Who else? 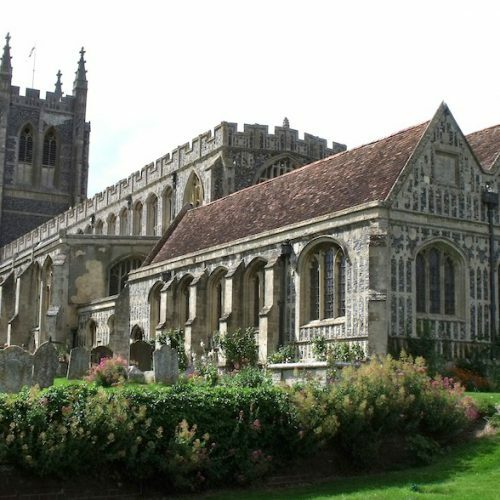 Long Melford was used as the setting for the BBC television series Lovejoy. The 1968 film Witch Finder General and Terry Jones’s film Wind In The Willows were both partially shot in Long Melford. 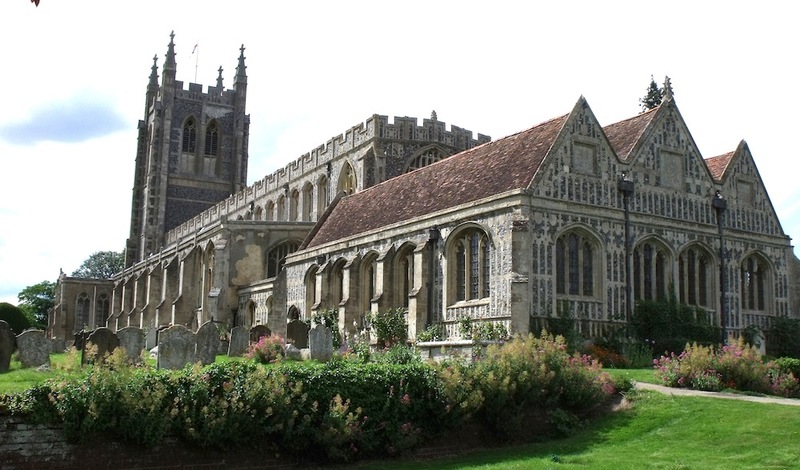 No need to go far afield as Long Melford has many attractions including independent shops and places to eat. Take a stroll from the ancient and beautiful town to see the church as its best. 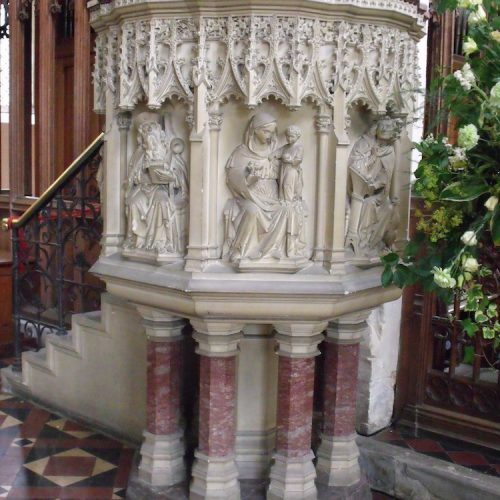 Take a walk along the old railway to see another of Suffolk’s most spectacular churches at Lavenham. Discover more places to go nearby. Access by wheelchair to the church is easy and there is a toilet for people with disabilities. Public toilets are also available in the churchyard. 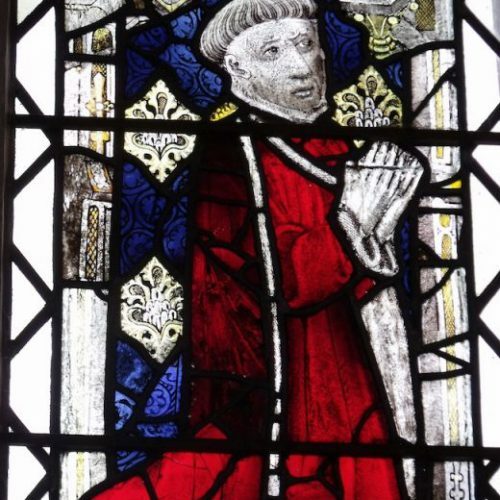 Discover Suffolk’s medieval churches by bike or on foot so you can savour the delights of the countryside at close quarters.